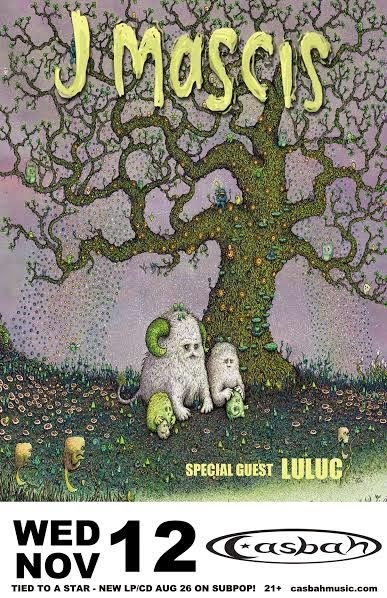 After hearing the new J Mascis stuff all over XMU, I can't believe tonight's Casbah show isn't sold out, but you know, we're San Diegans and we never plan ahead and we don't subscribe to satellite radio and we only care about a show AFTER it is already sold out. Whatever. Tickets will be available at the door tonight, but it's only two bands, so don't be late because J could start as early as 10:30. If you want to be on the safe side and buy advance tickets, grab them here until around 6pm.